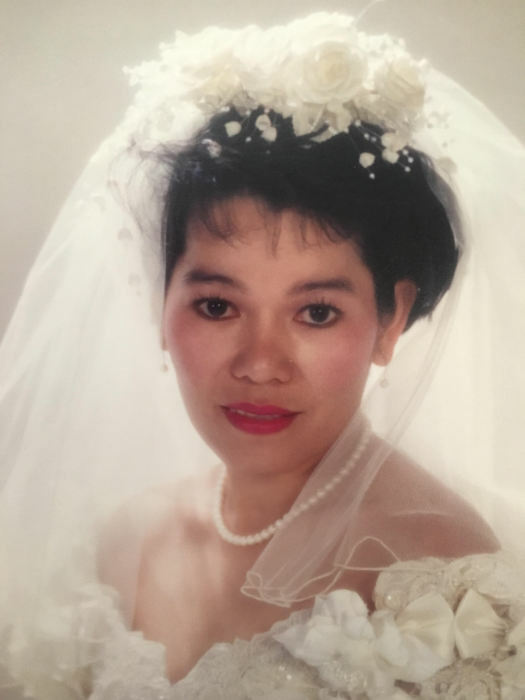 Obituary for Loan Thuy Nguyen | Drinkwine Family Mortuary, Inc. It is with great sadness to announce the death of Nguyen Thuy Loan. She passed away peacefully in the late afternoon of October 13, 2018 at the age of 56. Nguyen Thuy Loan was born in Saigon, Vietnam on November 27, 1961 to parents of Nguyen Thang and Pham Quan. She was the 10th of 12 siblings. She is survived by her husband Luan V. Doan and 3 children, Nguyen Khanh My, Larry Doan and Lillian Doan. Loan moved to America in 1990 and has resided in Littleton, Co since 1994. Though growing up in a big family — and she was close with her siblings — she had her own independence and fearless personality. Her passion was fashion, music, dancing and nature. Loan was very loved by everyone that came across her path. She will be missed greatly. The service will be held on Wednesday, October 17, 2018 from 10am to 8pm and on Thursday October 18, 2018 from 11am to 2pm at Drinkwine Family Mortuary.